CBGCD Office • 109 E. Milam • Wharton, TX 77488. 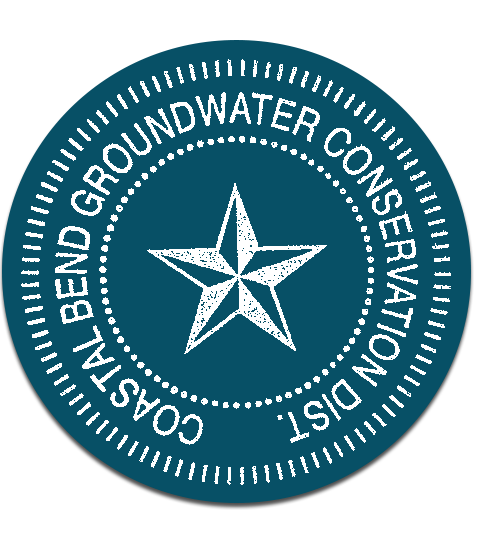 The Coastal Bend Groundwater Conservation District (CBGCD or District) is a political subdivision of the State of Texas. 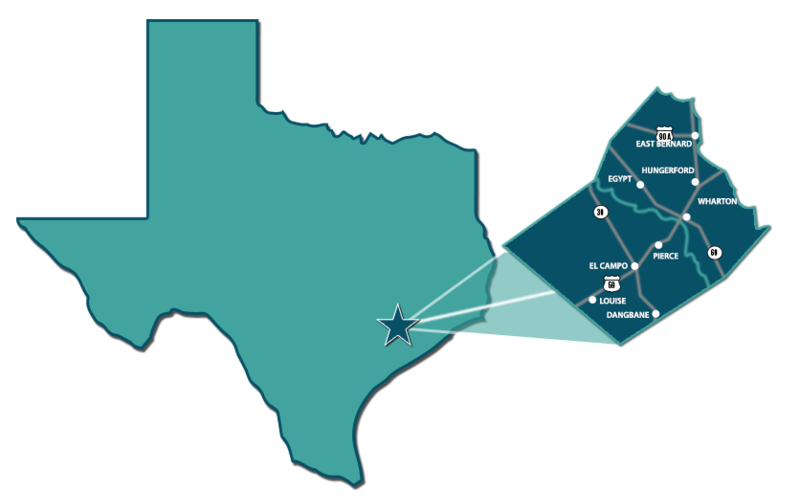 In a confirmation election held on November 6, 2001, Wharton County voters approved the creation of the District, elected five Directors to the Board of Directors, and approved its authority to assess an ad valorem tax on Wharton County property owners. The District boundaries are the same as the area and extent of Wharton County, Texas, however, on May 8, 2006, property owners from Colorado County, Texas, which does not currently have a GCD, approached the CBGCD Board of Directors to annex approximately 800 acres of their Colorado Co. property into the Coastal Bend District. Their request was approved by the Board of Directors on that same day. The mission of the Coastal Bend Groundwater Conservation District is to manage and protect the groundwater resources of the District. The District is committed to maintaining a sustainable, adequate, reliable, cost effective and high quality source of groundwater to promote the vitality, economy, and environment of the District. The District will work with and for the citizens of the District and cooperate with other local, regional and state agencies involved in the study and management of groundwater resources. The District shall take no action without full consideration of the groundwater needs of the citizens of the District. On December 2, 2002, the District opened its office in Wharton and the new General Manager, Neil Hudgins, began working to bring the District into operational status. On April 13, 2004, the board adopted rules that became effective May 15, 2004. The District office is currently staffed by Neil Hudgins and Jaime Bosch, and is generally open on weekdays from 8 am – 5 pm except when the staff must perform work away from the office.